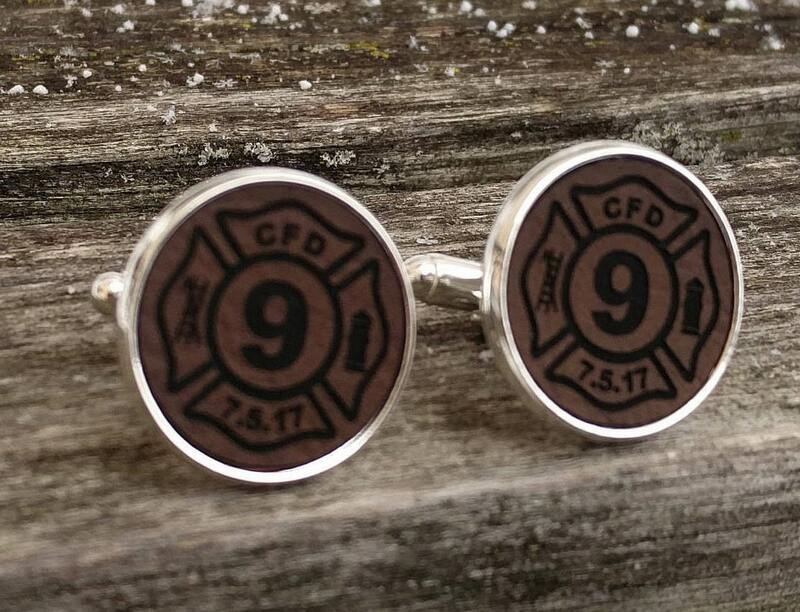 These cufflinks are so unique! 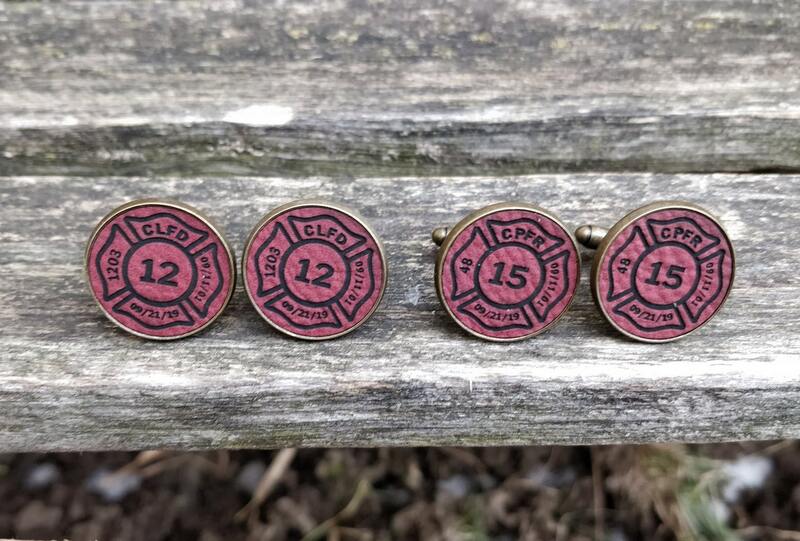 They have an engraved leather insert, with a Maltese Cross, set in a 20mm circle. 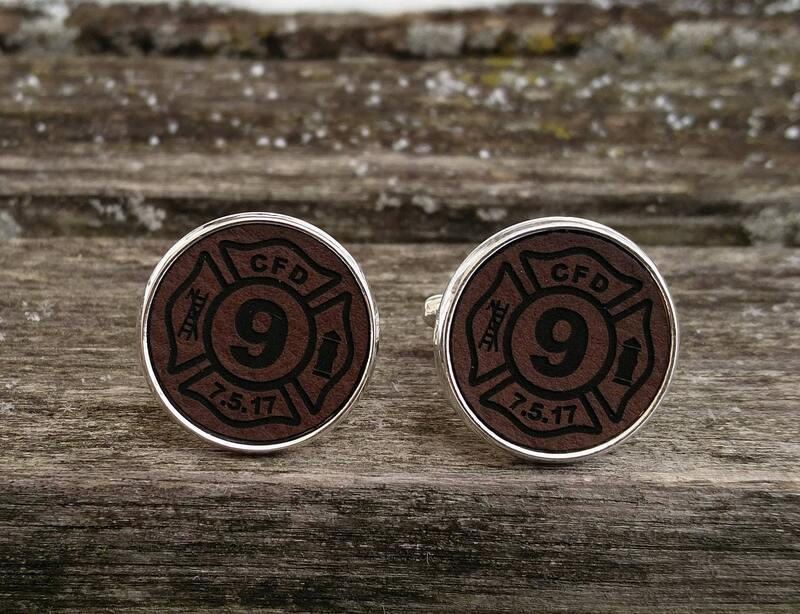 You may choose the metal color & leather color. See the last two photos for options. 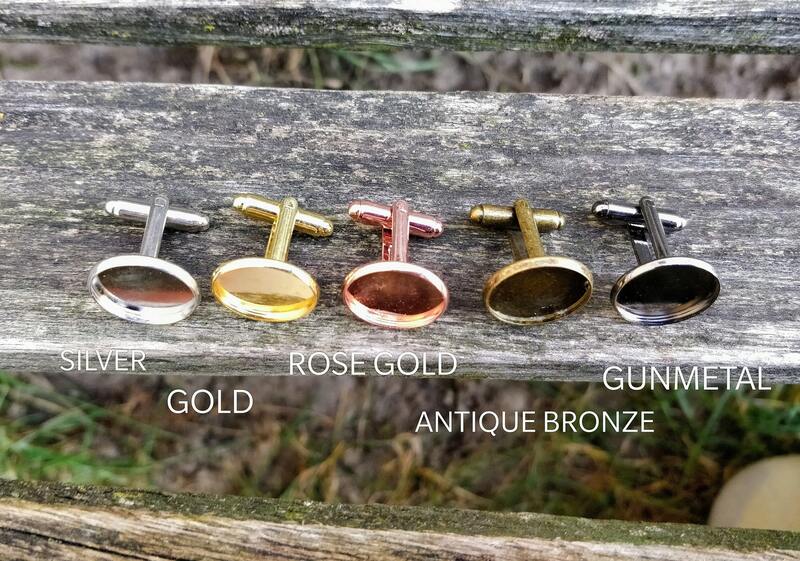 -Select the color of cufflink you would like. 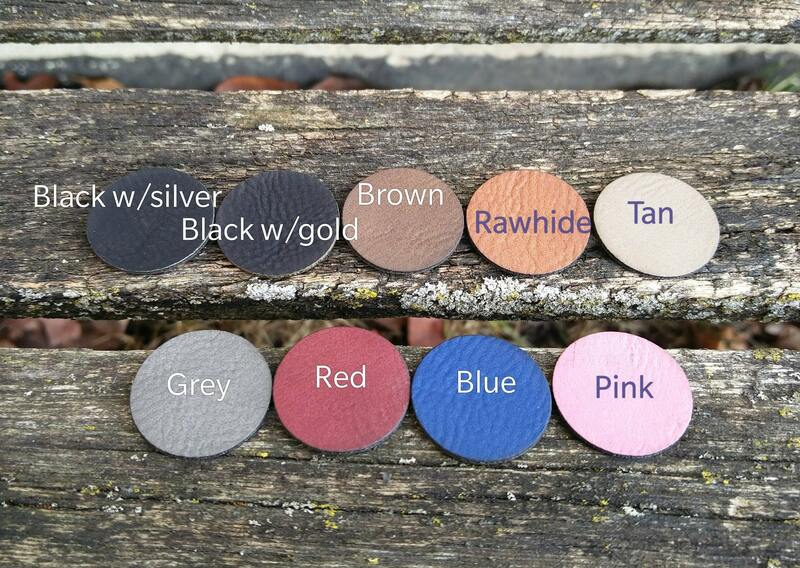 -Select the color of leather you would like. -Let us know what you would like engraved inside the cross. 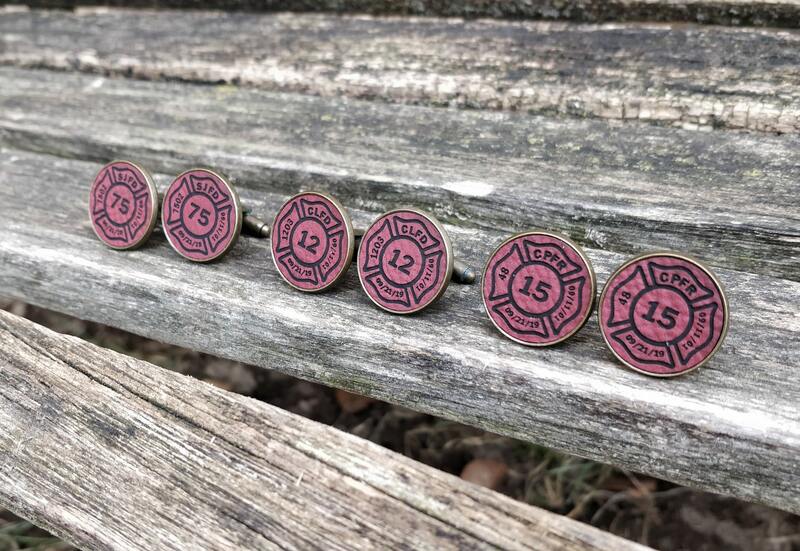 **** THERE IS A 6-7 CHARACTER LIMIT for each space on the Maltese cross. We can fit 6-7 characters on top and 6-7 on the bottom. 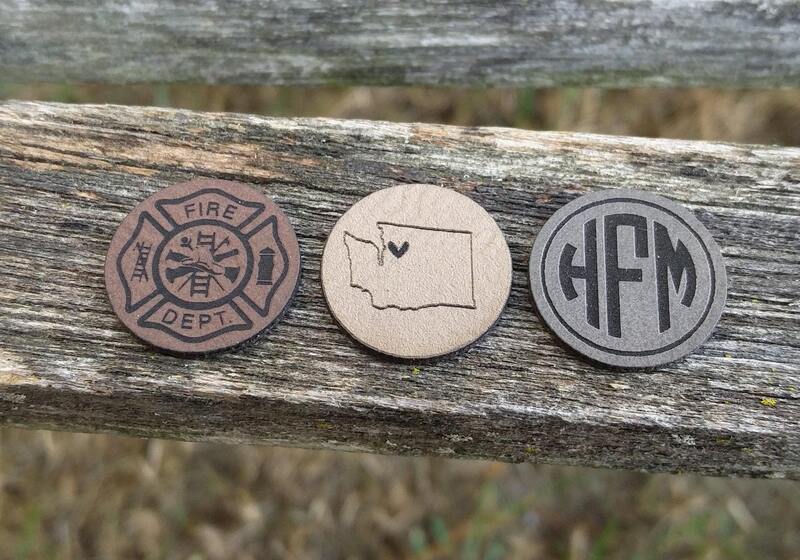 (We can also put something generic like "Fire" and "Dept", if you do not have a specific request. 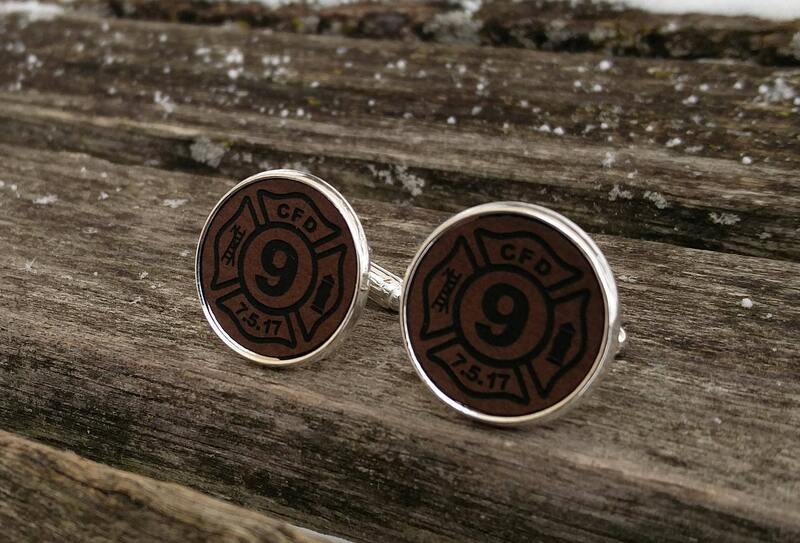 Perfect for a gift for a wedding, anniversary, Christmas, Father's Day, a birthday, a groomsmen gift, or just because. 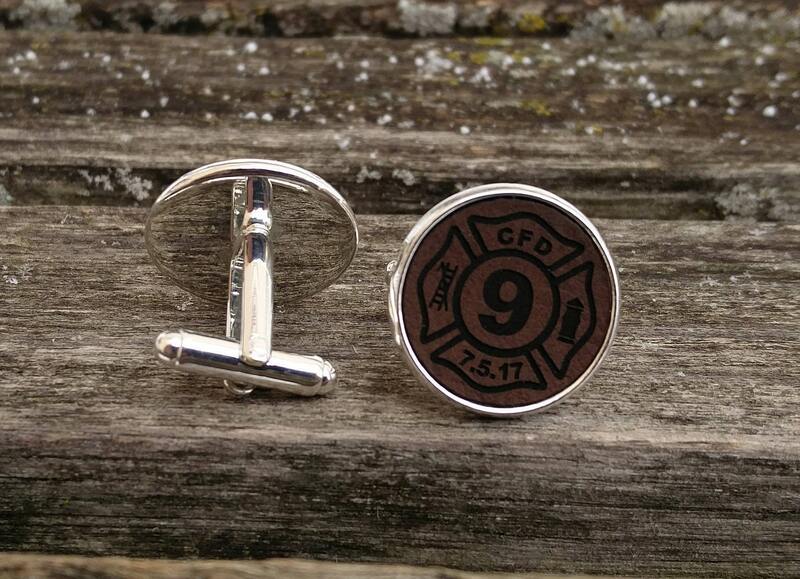 I can also do custom tie clips, lapel pins, tie tacks, etc.